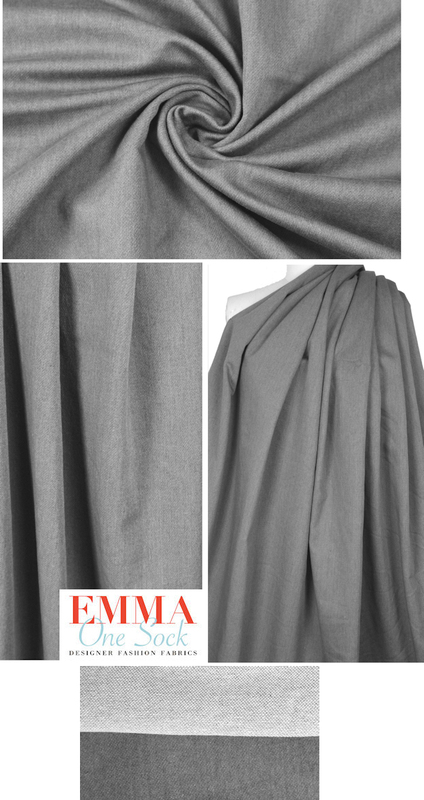 This is a great medium-weight stretch denim twill in a medium gray (PANTONE 18-4105-ish)), a fabulous casual basic in a color that's hard to find. It has about 15% stretch in the width only, and is a wonderful choice for any denim project. It is perfect for a jacket, jeans, skirt, shorts, topper coat, etc. Very malleable, not stiff. The reverse has an unusual weave for denim and is shown in the bottom photo. Test first: Machine wash and hang to dry.